As many people, the ritual of a hot cup of coffee is the only thing that gets them me out of bed in the morning. While coffee may have some benefits, it also can have very bad side effects like acidity, dehydration, and potential to cause anxiety. 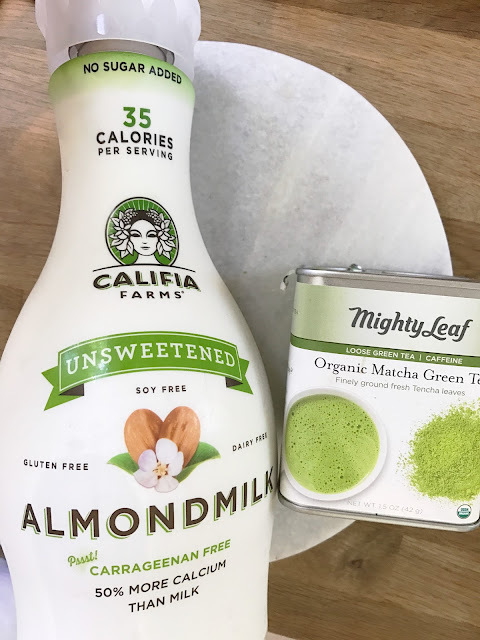 If you haven't heard of matcha yet, you're about to become addicted! Matcha is a concentrated form of green tea. Rather than simply soaking the leaf, the entire tea leaf is stone-ground into powder and consumed whole, so you get a more potent version of green tea. The list of benefits from drinking matcha tea is long. Matcha will give you the energy boost many seek from coffee, but because of the large concentration of antioxidants, the absorption of caffeine is slower so there's no crash. Coffee first thing in the morning can also contribute to adrenal fatigue, as our cortisol levels are naturally high in the morning and a huge, artificial energy boost from coffee is unnecessary and hard on the hormones that regulate our energy. If you do drink coffee, it's best to do so with a food and at least two hours after waking up. - Bring 3/4 cup of almond milk to a low simmer in a small pot or sauce pan over medium-high heat. - Place 1 teaspoon matcha powder in a mug or other heat-proof cup. - Slowly whisk in 1/4 cup boiling water, then almond milk, tipping cup slightly to help create more foam. If you have a frother, you can use that as well. - Sweeten with honey or agave syrup. below are seven reasons why you should be incorporating matcha into your diet ASAP. BENEFIT #1: IT GIVES YOU GLOWING SKIN. 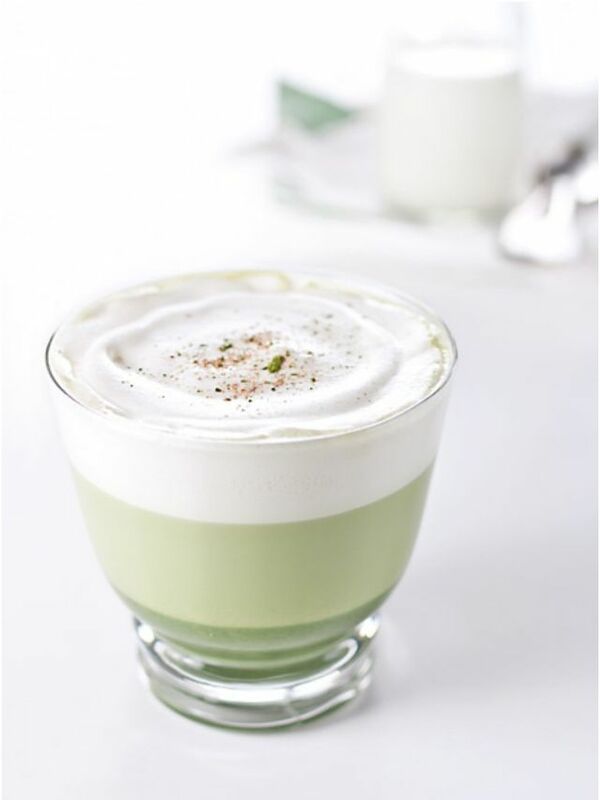 Matcha powdered green tea has 137 times more antioxidants, or EGCGs, than regularly brewed green tea. These antioxidants help protect your skin from ultraviolet radiation. They can even get rid of harmful free radicals that your body’s been holding onto. Additionally, they boost your blood flow, which can help give you that oh-so-coveted rosy, natural glow in your cheeks. BENEFIT #2: IT HELPS YOU STAY RELAXED AND ALERT AT THE SAME TIME. Matcha is rich in L-theanine, a rare amino acid that actually promotes a state of relaxation and well-being within your brain’s functionality. While stress can induce beta waves (which lead to an excited and agitated state), L-theanine creates alpha waves (which lead to a state of relaxed alertness). 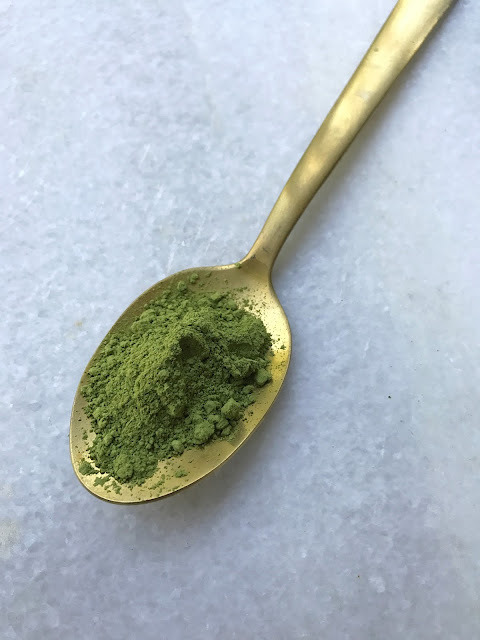 And while L-theanine is common in all tea, matcha may contain up to five times more of this amino acid than your regular ol' black and green varieties. BENEFIT #3: IT HELPS YOU REMEMBER THINGS. The L-theanine in matcha also improves your memory (read: helps you remember where you put your cell phone and car keys). It can help you learn and perform better without all the usual negative side effects of caffeine. In fact, studies show that those drinking green tea filled with L-theanine were also less susceptible to "distracting information" that might hinder their tasks (i.e. 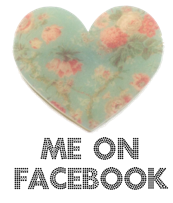 less susceptible to scrolling through Instagram during the work day). BENEFIT #4: IT HELPS BOOST YOUR METABOLISM AND BURN FAT. The chemical components in matcha basically make up an internal gym for your body. (Which means less work for you—yes, please.) Drinking matcha can help you burn more calories, while studies show it can also help you burn up to 25% more fat. Combined with a healthy diet and exercise, matcha can kick your weight loss into high gear. BENEFIT #5: IT KEEPS YOUR IMMUNE SYSTEM HEALTHY. ECGCs help keep sickness-inducing microbodies and oxidative stress in check. Matcha is also great for the type of inflammation that occurs when you have allergies or a sinus infection. 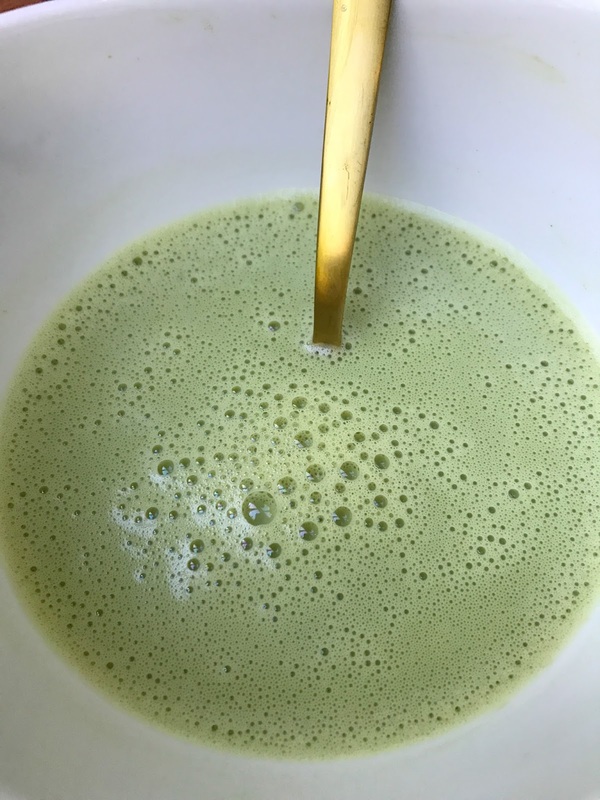 Swap out your coffee for matcha during cold and flu season to reap the holistic benefits of catechins and theanine. BENEFIT #6: IT MAY SLOW DOWN THE AGING PROCESS. BENEFIT #7: IT MAY HELP ALLEVIATE SYMPTOMS OF DEPRESSION AND ANXIETY. Along with keeping you focused, relaxed, improving your immune system, and increasing your blood flow, matcha helps relieve depression and anxiety. The polyphenols found in matcha can heal you from the inside out, and therefore can make you feel happier and less stressed. Polyphenols are powerful plant-based antioxidants and micronutrients found in a lot of foods that typically bring you joy (like wine and chocolate).